Jerusalem (AFP) – Prime Minister Benjamin Netanyahu said Tuesday Israel was not bound by the nuclear deal between world powers and Iran, calling it a “historic mistake” and signalling he remained ready to order military action. His harsh criticism of the agreement came after he warned for months that the deal being negotiated would not prevent Iran from acquiring nuclear weapons that could be used to target Israel. He also argued that lifting sanctions would allow Iran to further support proxy militants and add to the instability rocking parts of the Middle East. While analysts say unilateral military action by Israel seems unlikely for now, Netanyahu and other officials have kept the option on the table. “Israel is not bound by this deal with Iran, and Israel is not bound by this deal with Iran because Iran continues to seek our destruction,” he told reporters before a meeting of his security cabinet, which later rejected the accord. 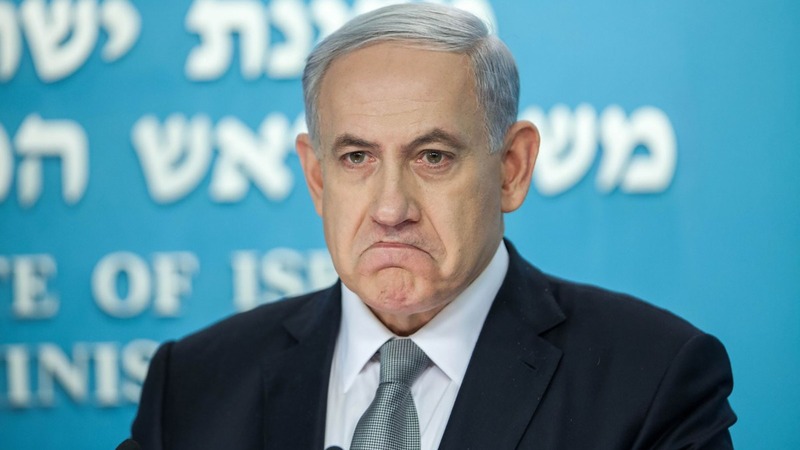 Netanyahu called the deal a “historic mistake”, and the accord drew strong criticism from across the Israeli political spectrum. “We did commit to preventing Iran from acquiring nuclear weapons, and this commitment still stands,” Netanyahu said earlier Tuesday, even before the agreement was officially announced. He has taken his campaign to the US Congress and the UN General Assembly, but ultimately failed to block the agreement. Obama’s administration also announced that US Defence Secretary Ashton Carter would visit Israel next week. But Netanyahu was unswayed, expressing the same concerns to Obama that he had earlier evoked, his office said. The deal puts strict limits on Iran’s nuclear activities for at least a decade and calls for stringent UN oversight, with world powers hoping that this will make any dash to make an atomic bomb virtually impossible. In return, painful international sanctions that have slashed the oil exports of OPEC’s fifth-largest producer by a quarter and choked its economy will be lifted and billions of dollars in frozen assets unblocked. “You can’t prevent an agreement when those negotiating it are prepared to make more and more concessions to those shouting ‘Death to the United States’ even as the talks are in progress,” Netanyahu said. Iran will get hundreds of billions of dollars with which it will be able to fuel its terror machine,” he said, referring to the expected lifting of sanctions. Defence Minister Moshe Yaalon accused the six powers that negotiated the deal — Britain, China, France, Germany, Russia and the United States — of needlessly caving in to Tehran. “Iran, who arrived at the negotiating table in a weak position, has emerged victorious,” he said. Hours before the accord was announced, Netanyahu even opened a Persian-language Twitter account, @IsraeliPM_Farsi, to rail against the deal in the hope of convincing the Iranian public. Reflecting the widespread feeling of concern in Israel, opposition leader Isaac Herzog said on his Facebook page that “Israel’s interests have been abandoned”. Deputy Foreign Minister Tzipi Hotovely called the deal “a capitulation of historic proportions to the Iran-led axis of evil”. “The implications of this agreement for the foreseeable future are very grave,” she said. Israel is believed to be the only country in the Middle East with atomic bombs, although it has never confirmed that.